The opening of the first Altitude-sports.com store on St-Denis Street in Montreal. At that time the store was known as Altitude Sports Plein Air. The goal was to promote the outdoors by selling and renting quality outdoor apparel and equipment. The online store is launched. Altitude-sports.com sells its products around the world. It is the first online outdoor retailer in Canada; e-commerce has barely taken off at this stage. The website becomes renowned thanks to people searching for extremely specific products often difficult to find in brick and mortar stores. Large sizes, technical mountaineering equipment and colors stores are too scared to carry are the brunt of the business. Back in 1999 Altitude-sports.com was already focused on hiking, camping and travel. The Bora backpack from Arc'teryx becomes our first online success. Altitude-sports.com sells 63 units in one month. A new version of Altitude-sports.com is launched. The three staff who are running/developing the website work out of the back of the physical store on St-Denis Street, while the two customer service agents for the website work in an apartment above. The working conditions are sometimes questionable, but our dedication and perseverance is paying off. One year after launching the new website, it is outselling the brick-and-mortar store. Altitude-sports.com grows exponentially and must move to its present location in Montreal's Little Italy. The opening of our second Altitude-sports.com in Mont-Tremblant, Quebec. This store has a larger surface area and allows us to present significant amounts of The North Face, Arc'teryx and Icebreaker collections. All that right next to one of Eastern Canada's most beautiful playgrounds, summer and winter. The launch of Altitude-blog.com. Since that eventful day, the blog has become a reference point for everything outdoors in Canada. Product reviews, travel accounts, cooking suggestions for camping trips, and general good times are the basis for this social outlet. Due to the ever-increasing growth of Altitude-sports.com, we must move locations once again. We organize our first warehouse sale at the end of winter, quickly realizing the excitement that such events bring with them. In two days the warehouse is pummeled by deal hunters. The lineup is one and a half hours to get in and one hour to pay. Sheer craziness. Following the warehouse sale, Altitude-sports.com launches a partner site called TheLastHunt.com. The website is the first and most important of its kind in Canada. The promise: the best prices year round on the biggest brands in the outdoors. This website is only made possible through a new online concept kept completely separate and based on different purchasing rules: all sales are final, customer service via email only, and shipping not included. Alexandre Guimond and Maxime Dubois, two employees who put their blood, sweat and tears into the company since 2004 and 2008 respectively, buy Altitude-sports.com and become majority owners. Heavily involved in e-commerce, their primary mission is to have the customer receive a complete shopping experience, online and in-store. Our strengths were/are hiking, camping and travel, but it was time to reach out and diversify, giving you the best experience possible, so we begin introducing brands renowned for their urbanwear, ski and running apparel, such as Nobis, Oakley, Patagonia, JanSport, Burton, Harricana and Ecco. A notable year for our St-Denis store in Montreal, as it receives a much needed facelift. The renovations that take place give the store a serious breath of fresh air, and bring it up to date. Altitude-sports.com also introduces its new system for equipment rental at its Montreal location. The idea is simple: customers can rent equipment at a low price, and upon return have the amount of the bill to spend on any and all products in-store. Our rental system is the easiest way to test equipment before buying. At the end of each season we put up the rental fleet for sale. Phase two of the Montreal store's renovations occur. Focusing on the external façade, the new look is more in sync with our image, and harmonizes more with trendy St-Denis Street. Altitude-sports.com launches the pilot project "Don't Dump that Downie". The project allows people to bring in their old insulated jacket that is in wearable condition (possibly taking up precious space at the back of the closet) and putting it to good use. For a donated jacket Altitude-sports.com offers a $75 discount to be put towards a new insulated jacket. The collected jackets (of which there were many) are given to the Old Brewery Mission to help those in need. Our customers instantly fall in love with the project and make it a success. Altitude-sports.com continues to put effort into offering the most varied selection possible by adding over 15 brands, including Moncler, Sorel, Peak Performance, Lolë, Fig Clothing, Salomon's ski apparel, Big Agnes, Columbia shoes, Smartwool, GoPro and Garmin watches. Altitude-sports.com Mont-Tremblant is proud to open a new section dedicated to two popular down jacket brands, Canada Goose and Moncler. 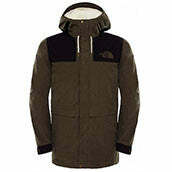 This new section completes the selection for high-end insulated winter jackets and accessories. Moncler's Grenoble ski collection is rather rare, being found only in a few of North America's top boutiques. Altitude-sports.com is extremely proud to be launching this new version of our transactional website. It will better respond to the needs of our customers, presenting our vast portfolio of outdoor brands. Designed to be as user-friendly as possible, the site will be further evolving over the next few months to ensure your experience is as enjoyable and efficient as possible. Altitude-sports.com is evolving and the brand image must illustrate this change. A new visual identity is launched, putting the individual at the center of the logo. It allows our focus to be more inclusive than just the outdoors, and puts comfort as a whole at the forefront, whether in the city or nature. Feeling like the website and logo needed to be rejuvenated, we wanted to offer a premium shopping experience on Canada's largest discount outdoor website. The improved layout and features like the Easy Shot, and event-based sales increases your chances of taking home a prize catch. The collaboration between Altitude Sports and The North Face celebrates the stylish European model made to confront chilly city streets, and our love for the brand. With its urban look and waxed cotton feel, you can be sure to stay stylish throughout the cold months. Altitude Sports and Quartz Co. have joined forces to create the world's first milkweed insulated urban winter jacket. Milkweed is a plant fibre distributed exclusively by MonarkMD. Milkweed is a great insulator, light, locally grown and entirely plant based. Furthermore, growing milkweed increases the survival rate of the endangered Monarch butterfly, since it is the only plant used in its reproductive process. Altitude Sports is proud to partner with the Canadian brand Quartz Co., recognized for its know-how in the making of jackets that are as functional as they are beautihttps://cdn.shopify.com/s/files/1/1230/9376/files/ This exclusive collaboration actively contributes to, challenges and helps evolve the way we think about insulation. Inspired from our infatuation with cycling, Altitude Sports x Louis Garneau custom jerseys are now available, allowing you to show your true colours on the bike. Made in Canada, we wanted to make a unique, limited edition piece that an experienced racer and a weekend warrior would grab for his or her epic rides. 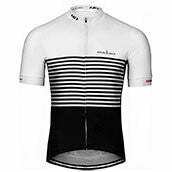 We matched the technical features of Louis Garneau apparel with our renowned design, creating a jersey that simply wants to be ridden. Stand out in the peloton this summer.